International Quality, Technical Capability, Exceptional Versatility & High Efficiency. Pursue excellent quality & satisfy customer's demands. Those are the responsibilities of Chiah Chyun staff. CHIAH CHYUN MACHINERY CO., LTD. is one of the most professional manufacture for CNC lathe, CNC auto lathe, twin spindle twin turret, CNC turning center, and sub spindle lathe in Taiwan. We are the first company to have certified by ISO 9002 for its Automatic Lathes and CE quality certification in Taiwan. We are proud of CHIAH CHYUN's international quality and technical capability that have been recognized by customers both in domestic and overseas. CNC lathe from CHIAH CHYUN exhibits excellent accuracy. We are a company dedicated to CNC lathes, mill/turn CNC lathes, auto lathes and CNC automatic lathes. CHIAH CHYUN lathes make your production machining fast and easy. Automatic comprehensive quality control system ensures that excellent quality level, and the precise inspection instruments provide the dependable assurance for quality products. Whether you are looking for Twin Spindle Twin Turret, CNC Lathe, CNC Auto Lathe, CNC Turning Center & Sub Spindle Lathe you will find an excellent selection at Chiah Chyun Machinery. 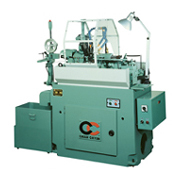 Listed below are links to more details of our CNC turning centers and auto lathe machines. 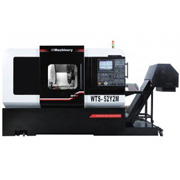 By paying further visits to our content pages, you may not only obtain specifications of these CNC lathe machines, but also watch online videos and know more about the operation, function and features. Please feel free to contact us at anytime with your needs and requirements for quality CNC turning centers and lathes, and we will reply shortly. Our brand new machine, CT1, was released and exhibited at TMTS on November 5th, 2014. With the innovative design, sophisticated quality, and high rigidity structure, CT1 will always be your best choice! No.16, Ln. 52, Sanshe Rd., Shengang Dist., Taichung City 429, Taiwan, R.O.C.